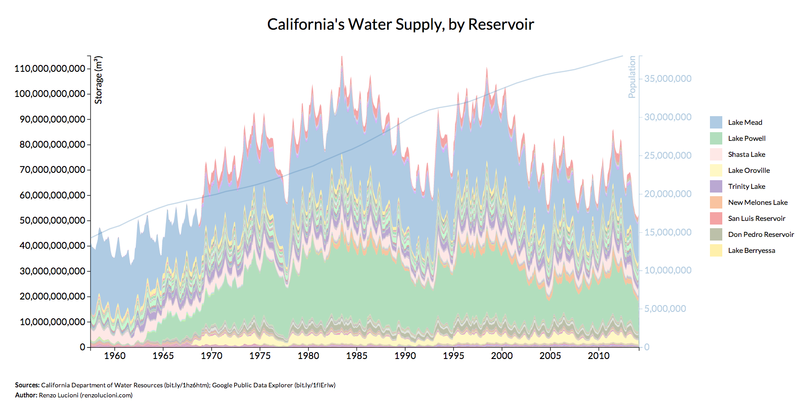 California’s water supply issues are not new. As the population continues increasing, the water supply has been receding since the late 1990’s, with a recent and dramatic decline in the past few years. 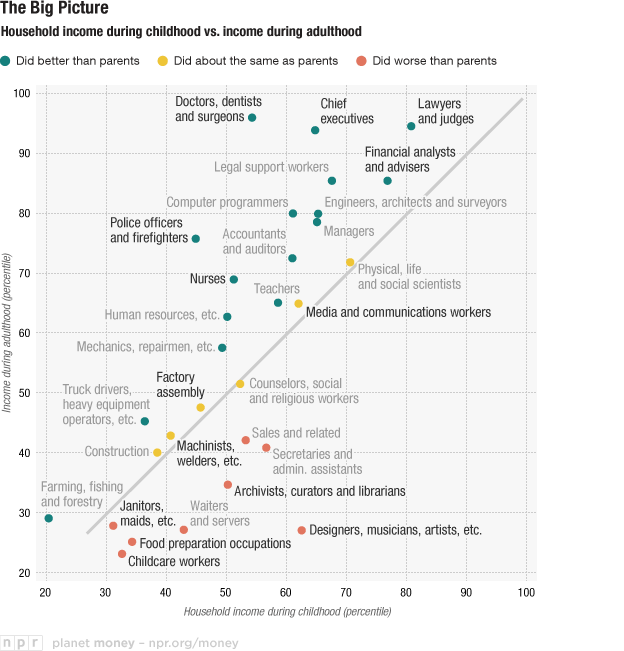 Artists tend to come from wealthier families than doctors, but not as wealthy as those producing lawyers and financial analysts. 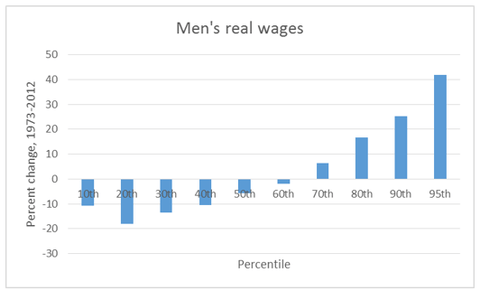 For all men below the 70th income percentile, real wages have declined since 1973, with growing disparity towards the bottom of income distribution. 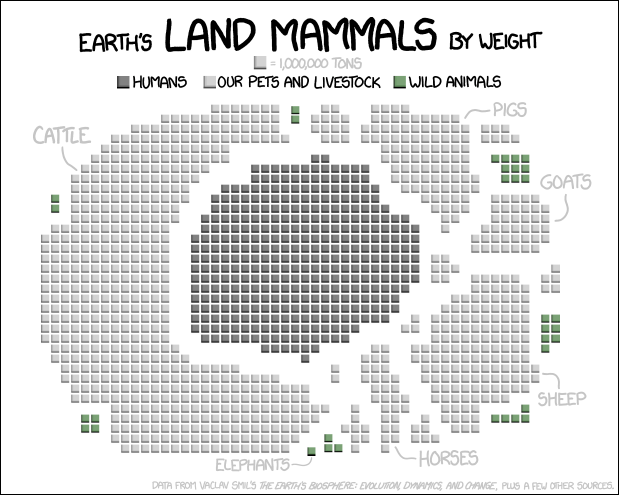 Humans are the dark-colored squares in the center, cattle form the large arc to the left, and all other animals are in small groups surrounding humans. 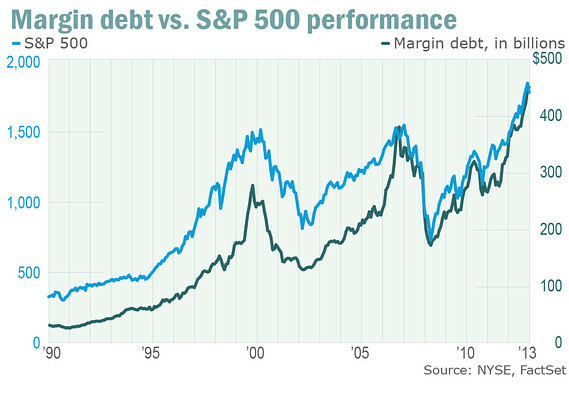 The marginal debt level, a “warning sign” of market stability, has been radically increasing along with the S&P 500. The current bull market, which has been on for 5 years, is among the longest in post-World War II America. Average bull markets last for 4.5 years. This map shows the difference between solar time and clock time, with red indicating a later solar time. Much of the world is shaded red, with China having an especially stark situation, as the whole country is on one time zone. Click the image for a much larger view. Half of millennials consider themselves political independents and about a quarter of them marry are married by age 32. 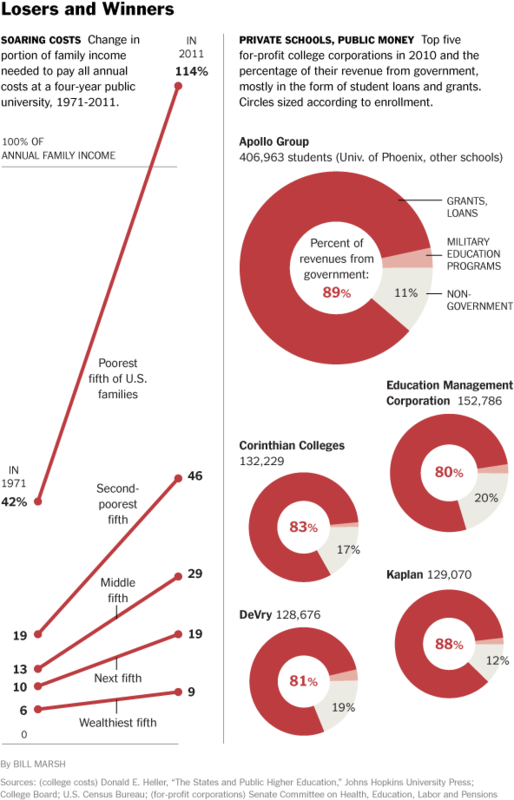 The marriage rates have been trending downward for generations and are less than half the silent generation. 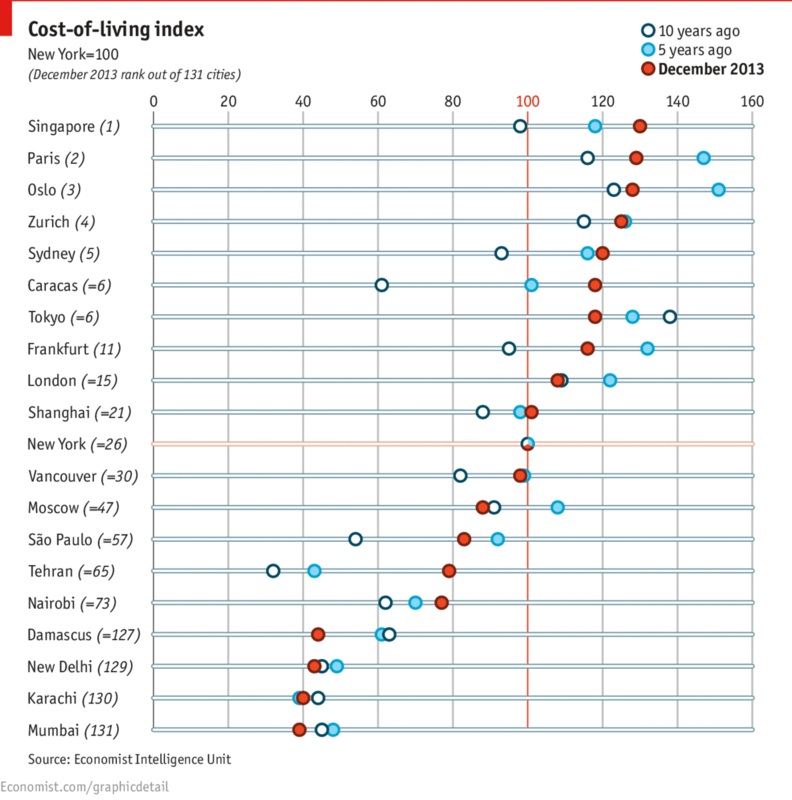 The cost of living in Singapore has grown considerably in the past year making it the most expensive city in the world, followed by Paris, Oslo, and Zurich.